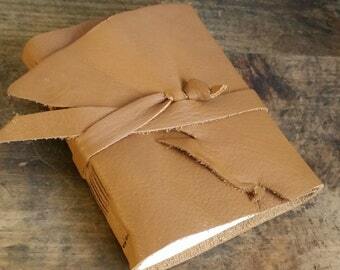 These leather journals have been lovingly made by me. 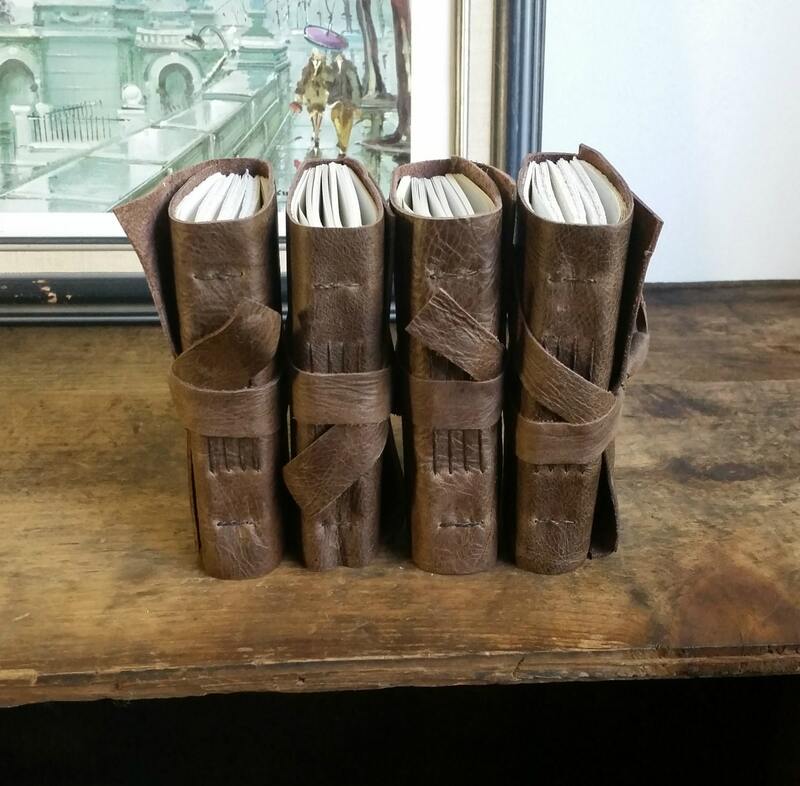 It is a wonderful way for you to jot down notes, sketches, ideas, and more! ~ they may even fit in your pocket, depending on the size of the pocket! 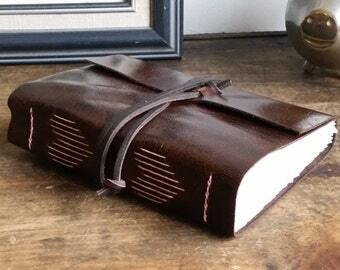 The journal you receive may not be the exact journal as the one pictured. 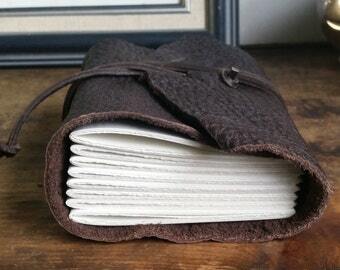 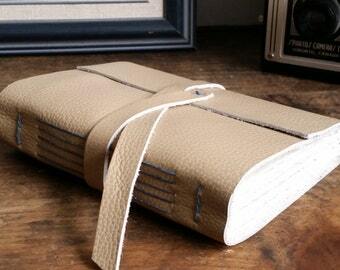 But it will be made from the same leather, with the same amount of pages, using the same paper.